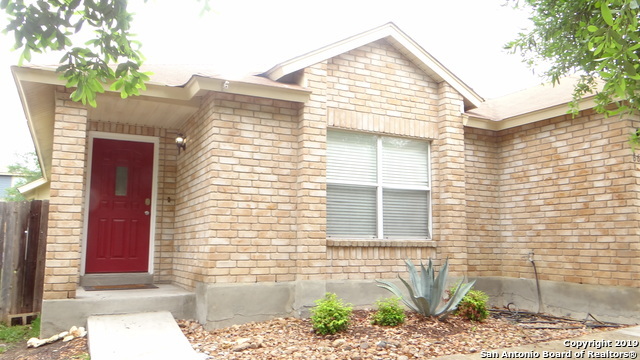 All RAINTREE homes currently listed for sale in San Antonio as of 04/26/2019 are shown below. You can change the search criteria at any time by pressing the 'Change Search' button below. 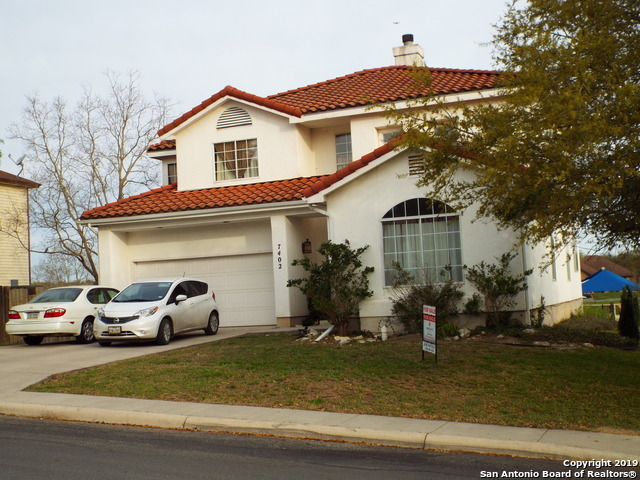 "BEAUTIFUL TWO STORY HOME 5 BEDROOM 2.5 BATH.EASY ACCESS TO IH-35 AND 1604. LARGE SPACIOUS BACKYARD WITH SMALL SHED . NORTH EAST SCHOOL DISTRICT WITH A QUIET NEIGHBORHOOD . MUST SEE HOME ." "Adorable stucco home at the end of a private cul-de-sac. New interior paint, flooring, vanities, hot water heater and water softener. Large kitchen and island with lots of storage. Wood laminate and tile flooring except two bedrooms. Nice size game room. Huge master bedroom with sitting area. Mature apple tree and shed in backyard." "Beautiful home shows great, freshly painted new tile new roof with a large pantry/laundry room second living area upstairs.... with a home warranty already in place please call for information. OWNER FINANCE AVAILABLE, please call agent for details.... Very easy to show just call CSS"
"3 bedroom, 2 bath, 1-story home, located on cul-de-sac. Tiled floors in living, dining, and kitchen. Laminate flooring in bedrooms. New roof March 2019. Large deck in the backyard." 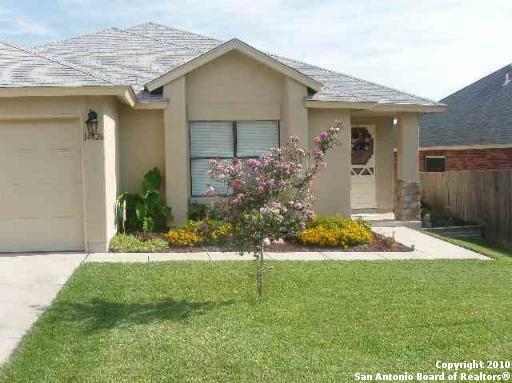 "Beautiful 3,2,2 home with excellent access to 1604 & IH35 - open floor plan. Large kitchen opens to large living room. Outside storage shed stays!" "Seller has Multiple offers; Send H/B NLT 25 April by noon, see MLS for details.Some TLC required and reflected in price, nonetheless, priced below 2018 county appraisal taxes. Run, don't walk come and see this oversize home with lots of room and charm. No HOA's. This property may qualify for Seller Financing (Vendee). Agent & buyer to verify taxes, rm sizes, etc. Close to military bases and I 35."